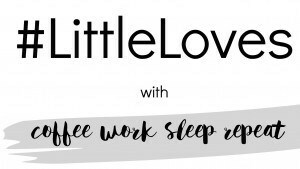 It's been the first full week since we've been back from holiday, and I'm ready to share my #LittleLoves once more! We had a really great time away, and I do plan to share some photos from our travels, I just haven't had the time to sort them out yet! Life has been pretty hectic this week; I am crazy busy at work, and I've been putting in some extra hours when it comes to the blog, so it's been a bit of a challenge to juggle everything. The rules for American Football! 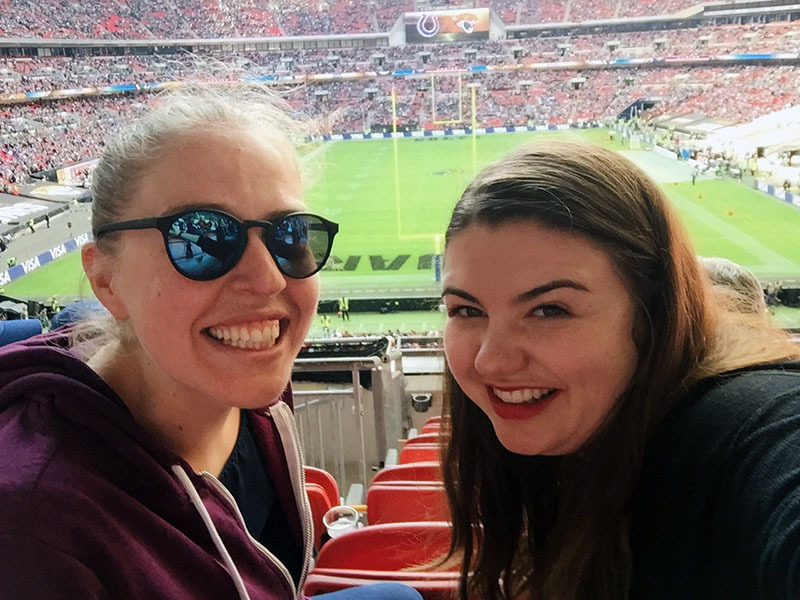 On Sunday I was lucky enough to go to watch my first NFL game at Wembley with my best friend, although neither of us had any idea how the game actually worked and to be honest were just there for the atmosphere! We watched the Indianapolis Colts vs the Jacksonville Jaguars, and I have to say it was a totally bizarre experience. There was so much entertainment, and the game kept stopping every few minutes, but I absolutely loved it and would definitely go again! And once I actually read how the game worked it all started to make more sense! This week Jono and I watched the new Amanda Knox documentary on Netflix, which we had both been looking forward to. I have to say, before watching the programme I wasn't sure whether I thought that she was guilty or innocent, but I feel like everything was laid out really clearly and I now truly believe that she is innocent. Let me know if you've watched it, and what you think! A real effort to get my life organised again post-holiday! I absolutely love that feeling of coming back from holiday and getting back into a routine, and hopefully improving on the one you had before you left! I've been using my Bullet Journal a lot, which really helps me to stay focused and productive. 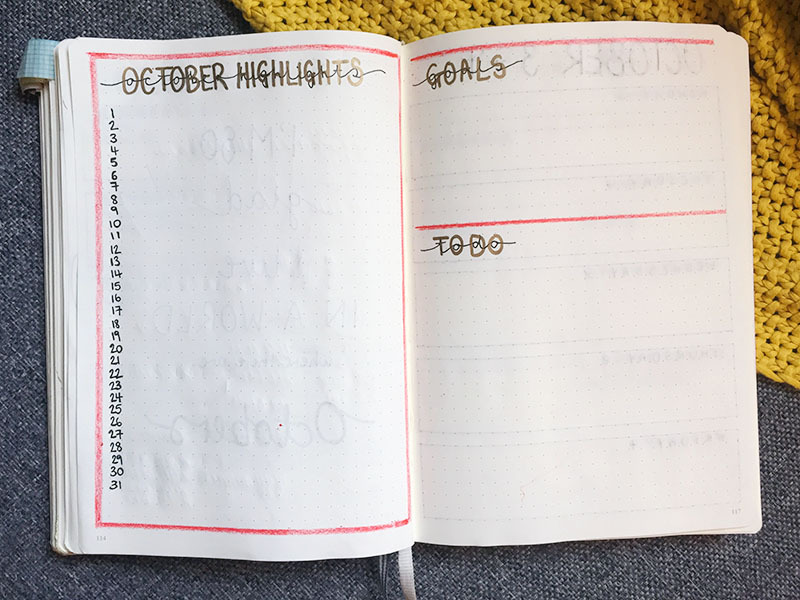 I've shared my October set up, so do take a look at that if you are interested in all things bujo! My big cosy blanket scarf! It's starting to get cold, especially in the mornings when I leave for work, so the big scarf has come out of storage. I absolutely love getting all snuggly at this time of the year, and I can't wait until it's cold enough to get away with bobble hats! 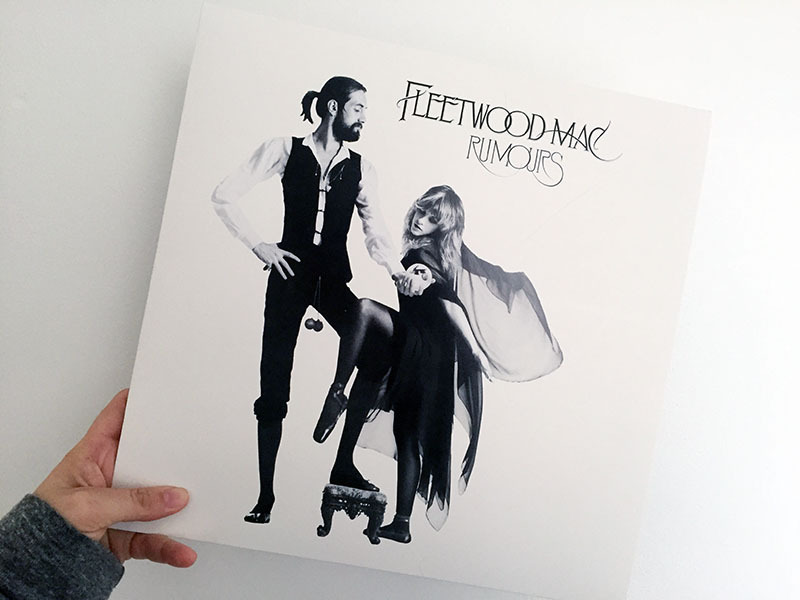 Just before we went away on holiday we bought a new vinyl - Rumours by Fleetwood Mac. We actually picked it up in Sainsbury's of all places, and had been the number one album on our list of vinyls to buy as it is both mine and Jono's favourite. We've since listened to it over and over again! I'm super excited for this weekend and the week ahead as two of my best friends who moved to Canada last year are back for a visit! I absolutely can't wait to see them, and we already have quite a few lovely things planned. I'm also so excited for them to see Zach, as last time they were here he wasn't even walking, and he's definitely changed a lot since then! I watched the Amanda Knox documentary the other day. I read her book a few years ago and had thought her innocent since then, so I was happy to see the documentary portray all the "evidence" against her in as ridiculous a light as it deserved. Also, obviously I thought Nick Pisa was abhorrent but at the same time that's kind of what I expect from a Daily Mail journalist!! The Mignini in my mind was the real villain of the piece - totally bungling poor Meredith's justice with his ridiculous notions of being Sherlock Holmes. What an idiot. 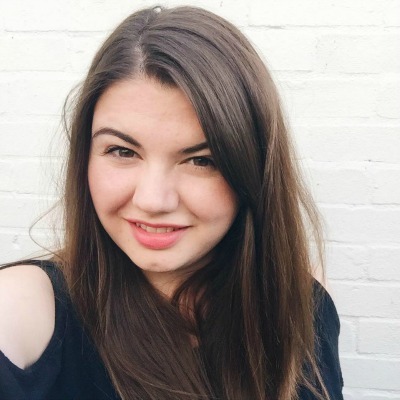 As you know, I agree with you on the Amanda Knox documentary, and as you say, I think they laid everything out really clearly. I thought it was really well produced in that sense. I don't go out super early in the mornings, but when my partner leaves for work at 7am, it feels like a blast of winter running through the house, so I can see the need to bundle up in a scarf! I'm excited to get my winter warmers out too! I hope you have a lovely time with your visiting friends! Oh man, I love my blanket scarf, they are perfect for this time of year aren't they?